It is necessary to keep lives of co-op member safe and peaceful that university co-ops promote peace activities that involve the society. We, National Federation of University Co-operative Associations (NFUCA), hold "Peace Now! 2012" as one of the peace activities. We concrete "objective of peace activities" that was adopted last year in programs of Peace Now! 2012. It has passed 67 years since end of World War II. Almost people who experienced the war are 75 years old or over. They are called as the last generation who could tell war experiences to us directly. Listening to who experienced the war, and transmitting to the world or future are tasks that we, living in the "now", should tackle. By Tohoku earthquake and tsunami, rings of mutual help spread all over Japan. The event is a cue that makes people think about peace for them. Not only knowing and spreading the past but also catching social events for elimination of nuclear weapons; terrorism and war; eradication of hunger and poverty and etc. and conveying to the future are big roles of us who live in "now" and form society toward the future. It is very important that linking each one’s love for peace and acting for realizing peaceful society and bright future. According to above, NFUCA is going to hold Peace Now! 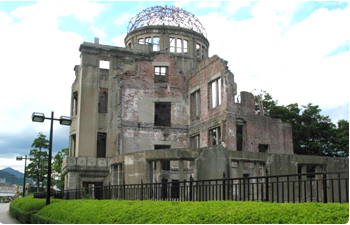 2012 in Hiroshima, Nagasaki and Okinawa as places where many co-op members participate and learn each other. NFUCA thinks it is important that participants will become aware what they can do "now" and to act involving others through Peace Now! 2012. - Every charge above excludes round trip costs for destinations, transportation costs in cities (except where otherwise specified) and costs of lunches. - Participants in destinations are going to pay in self finance base their own costs that are varied by options, e.g. field work and lunch. Please prepare some cash (Japanese Yen only) for costs. Costs of field work will be updated in news as soon as fixed. - The charges above include domestic travel accident insurance. 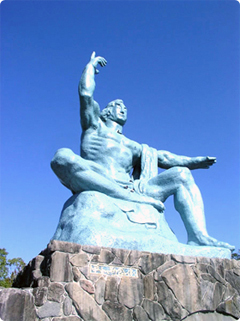 -are interested in knowing deeply history of Hiroshima, Nagasaki and Okinawa. -are interested in social activities of those key words are peace, history, environment, disaster and etc., and is going to be involved in those activities continuously. -want to be or is now involved for peace or future. -want to think what ones can do. -are going to prepare peace activities in own university or local. * Time table, concrete program and affairs matters will be updated in "News "
Please make a registration at your university co-op.